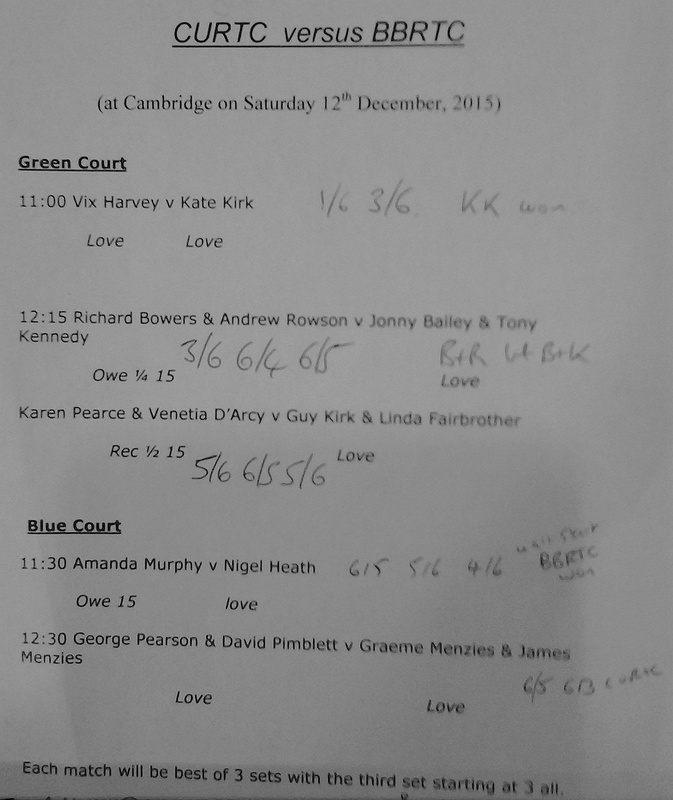 Some familiar faces were on Court on December 12th as the Blue Ball RTC just edged CURTC’s finest, 6-5 in the 3rd set of the deciding rubber as Guy Kirk and Linda Fairbrother outlasted Venetia D’Arcy and Karen Pearce (CURTC) in a classic match. 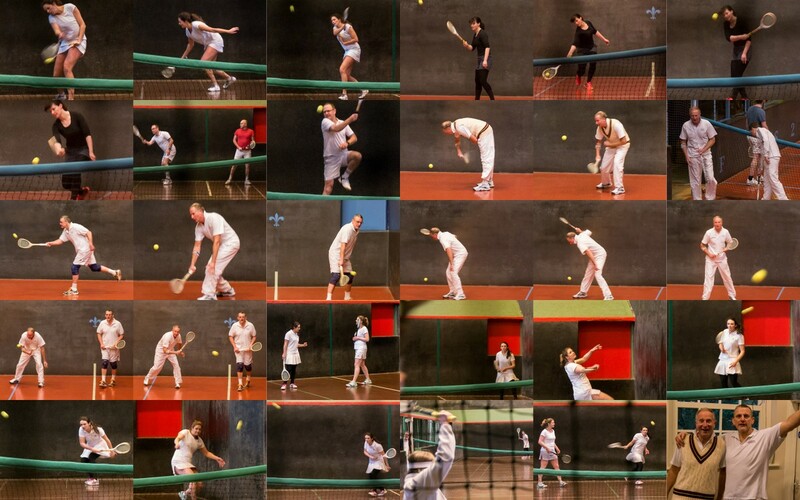 Setting this up were BBRTC victories from Kate Kirk against a valiant and rapidly improving Vix Harvey and Nigel Heath who made a slow but sure comeback from the after effects of the Varsity match some days before (PVMS). 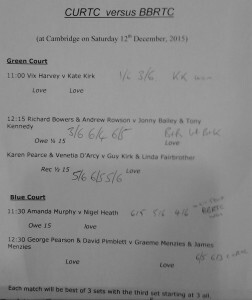 CURTC struck back in the Doubles through Andrew Rowson and Richard Bowers in another 6-5 in the 3rd set rubber before George Pearson and David Pimblett evened things up for CURTC in a high class Doubles encounter with the BB’s father and son duo (who were still getting on famously after the match, see pix below). Many thanks to Scott and Simon for their excellent marking and Kees and Peter for making sure the correct number of people were on Court at the right time.